Finding the right eyewear is about more than just being able to see. Your glasses are a statement. Whether you’re into the classic tortoise shell look or a more modern design, New Hampshire’s eyewear stores will have you walking out in style. Pick up a pair (or two!) of glasses from the 10 best in the state. Visit the Eyeglass Shop for an eclectic mix of lenses and frames. Bring your prescription from your own eye doctor or book an exam with the professionals here. You may also try and subsequently order contact lenses here as well. 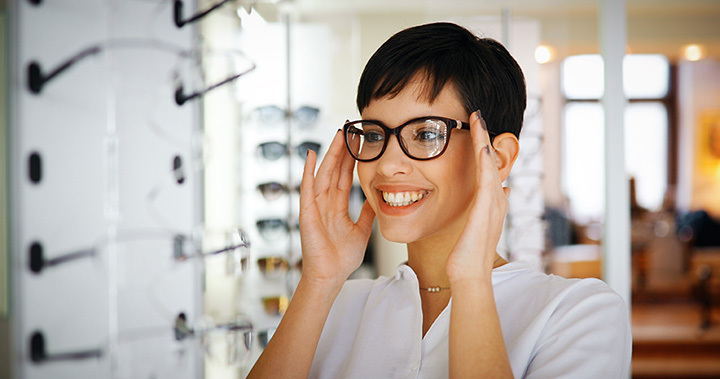 Find the eyewear you’ve been looking for at Nashua Eye. There your glasses will be ground in-house for less waiting time. You may schedule your eye health services here or simply visit to purchase eyewear. Choose from several designer brands. For a wide array of unique and designer styles, visit Franklin Block Opticians for your eyewear. They offer additional options like turning your favorite glasses into sunglasses. They also feature the Camirror, which allows you the perfect way to see the new eyewear you’re trying on—even when you already have a prescription. There’s no appointment needed at MVC Eye Care if you’re simply buying eyewear. Just bring your prescription and browse through the array of stylish options available. Bring your prescription to Whitehouse Opticians and enjoy perusing their large assortment of designer eyewear. Are you on a budget? They also offer a large array of low-cost options. For an enormous selection of designer eyewear, visit Lens Doctors. Choose from Tay-Ban, Carrera, Prada and more. There’s no need to book an appointment with the in-house opticians. Simply bring your prescription and choose your favorite quality eyewear. Find quality, stylish eyewear for the whole family at Cohen’s Fashion Optical. Check their website, as there is often a deal for $100 off select eyewear options. Choose from Guess, Candies and other fashion eyewear frames at Jordan Family Eyecare. Consider options like Transitions lenses or Varilux for extra clarity. There’s no need to book an appointment if you’re simply shopping for glasses. Just stop in and browse the impressive assortment in their showroom. If you’ve got a prescription for eyewear, bring it to American Eyecare. They’re the pros in New Hampshire’s Lakes Region. Offering eyewear selections for men, women and children, you’ll find exactly what you’re looking for in this shop. Some of the eyewear options at Evision Eyecare are available in just an hour. Browse through their ample selection of both designer and more modestly priced frames. You’ll love the affordability of frames you’d pay lots more for elsewhere, as well as the attention to detail on behalf of the technicians.